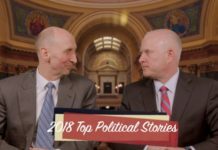 The new year brings personnel changes to the State Capitol's East Wing as the WisOpinion Insiders, Chvala and Jensen, augur what Wisconsin's political future may hold. 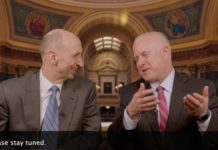 Sponsored by the Wisconsin Counties Association and Michael Best Strategies. As Gov. 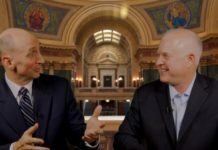 Scott Walker prepares to leave Wisconsin's political stage, the WisOpinion Insiders, Chvala and Jensen, size up his political legacy. 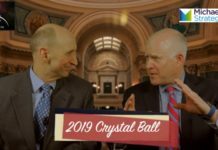 Sponsored by the Wisconsin Counties Association and Michael Best Strategies. With Gov. 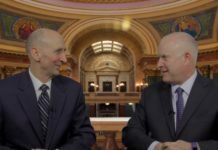 Scott Walker's signature in place on the lame-duck session legislation, the WisOpinion Insiders, Chuck Chvala and Scott Jensen, consider the laws' impact on Gov.-elect Tony Evers. 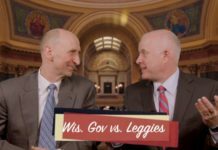 Sponsored by the Wisconsin Counties Association and Michael Best Strategies. 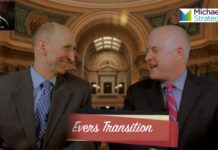 Midway between the November election and Tony Evers' inauguration, the WisOpinion Insiders, Chvala and Jensen, evaluate the progress of the governor-elect's transition. Sponsored by the Wisconsin Counties Association and Michael Best Strategies. 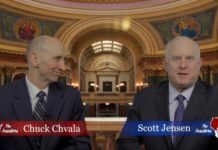 As GOP lawmakers prepare for a lame-duck session, the WisOpinion Insiders, Chvala & Jensen, draw on their own experiences in divided government. Sponsored by the Wisconsin Counties Association and Michael Best Strategies. As the turkey waits its turn at the table, the WisOpinion Insiders, Chvala and Jensen, pause to give thanks for an interesting political landscape! Sponsored by the Wisconsin Counties Association and Michael Best Strategies. 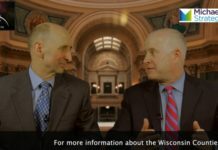 The WisOpinion Insiders, Chvala and Jensen, analyze the new reality: divided government in Wisconsin. Sponsored by the Wisconsin Counties Association and Michael Best Strategies. 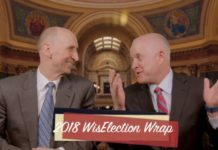 With the midterm elections completed, WisOpinion Insiders Chvala and Jensen survey the new shape of Wisconsin's political landscape. Sponsored by the Wisconsin Counties Association and Michael Best Strategies. 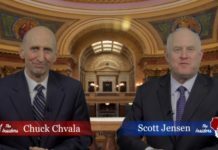 The WisOpinion Insiders, Jensen and Chvala, give their party's closing argument just days before Tuesday's elections for governor, U.S. Senate, attorney general and the Legislature. Sponsored by the Wisconsin Counties Association and Michael Best Strategies. 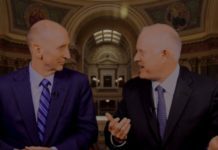 The WisOpinion Insiders, Chvala and Jensen, outline the top issues affecting Tuesday's elections. Sponsored by the Wisconsin Counties Association and Michael Best Strategies. 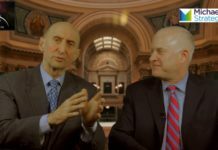 The WisOpinion Insiders, Chvala and Jensen, discuss whether money or momentum are more important to winning this year's elections. Sponsored by the Wisconsin Counties Association and Michael Best Strategies. 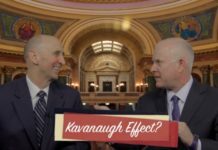 With a few weeks left before the November elections, the WisOpinion Insiders, Chvala and Jensen, consider whether the hearings to appoint Supreme Court Justice Brett Kavanaugh will have an impact on the outcome. Sponsored by the Wisconsin Counties Association and Michael Best Strategies. 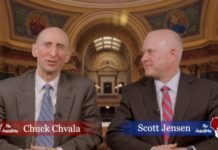 The WisOpinion Insiders, Chvala and Jensen, take up whether Democrats can win any Republican congressional seats in the state this fall. Sponsored by the Wisconsin Counties Association and Michael Best Strategies.